Geographic Information Systems are central information stores for the County. A major component of the County's Enterprise GIS is the central ArcSDE geodatabase which supports desktop GIS users and web based applications. The County's GIS Department develops web based intranet applications to distribute GIS data to County employees via web browsers to increase users access to updated GIS data. By delivering data in this format it saves the County money and increases access to the data. 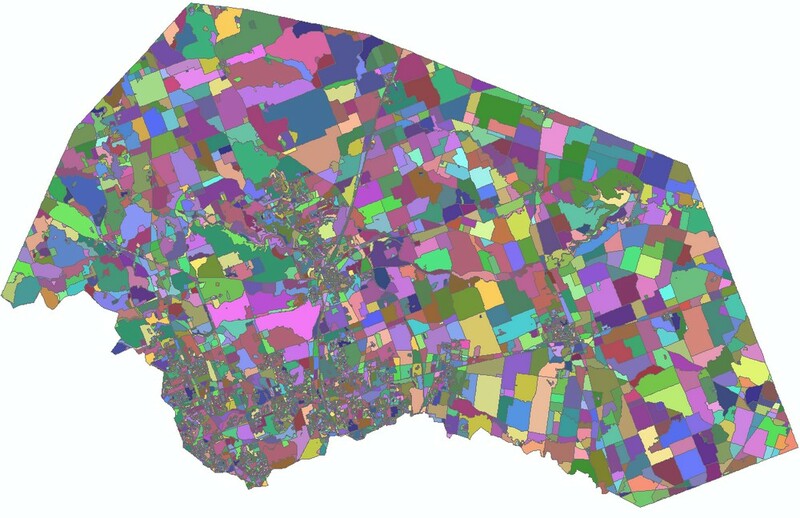 Williamson County makes a variety of GIS data available to the public. The table below is our online catalog, and most of data are available for immediate download. Other data must be requested via our request form, and still others are linked from other agencies that provide data for Williamson County. For more information about a data set, please click the metadata link under the data column. If you have questions or need additional information, please feel free to contact us. All of the data provided by Williamson County will be in ESRI Shapefile format. The files will be in a zipped folder (.ZIP file extension) to conserve bandwidth. Information is provided below on the file formats used and software programs that may be used to access this data. The datasets below are free of charge to download. Please be aware that there is a fee for creating data, copying to media (DVD) and GIS analysis. Please see the charges for public maps and data below. Description: Boundaries of Emergency Services Districts, which are taxing entities that contract for fire services. This data is maintained by the Williamson Central Appraisal District (WCAD). Description: FEMA Floodplain and flood zones for all of Williamson County. Description: Tile boundaries for the 2006 LiDAR elevation data in .shp, .dwg, and .pdf file format. Can be used to locate tile names for a data request. Description: Municipal Utility District areas. This data is maintained by the Williamson Central Appraisal District (WCAD). Description: Recreational trail locations in the County represented as a line feature with names. Description: Generalized natural vegetation classifications. Description: Parcels are NOT maintained by Williamson County. They are maintained by the Williamson Central Appraisal District (WCAD), a separate entity from the County. Please visit their site to view an interactive parcel map or to request data. County map with aerial photo, roads, and city boundaries. County alcohol wet/dry area map detailing alcohol-related rights. Has roads, major water features, and city boundaries. Map with roads, major water features, and city boundaries. Emergency Services Districts overview map detailing ESDs and Precinct boundaries. Has roads, major water features, and city boundaries. For individual ESD detail maps, please See Below. Map with Emergency Services District #12, precinct boundaries, roads, major water features, and city boundaries. Trail Map with roads, restrooms, parks and other landmarks. The ZIP format is a compressed version of files and data in a single "package" format that makes it easy to transfer. Many software packages can open ZIP format files, including many operating systems. There are many freely available programs, so we have selected a good one at random: 7zip Archiver (Windows) (Freeware). In addition to the commercial software, there are some free resources for interacting with our GIS data. At this time Williamson County cannot provide support or assistance for using our data with these products, but there are a number of good guides and tutorials available on the internet. GIS technology is used in many disciplines. In addition to the County's own Interactive maps and data downloads there are many other resources for information and background education. These are easily accessible on the internet. Please explore these sites as well. These sites are not endorsed or sponsored by Williamson County, but are provided as a resource to the public. The maps and data on this site are for general planning purposes only. The underlying basemap conforms to National Map Accuracy Standards in unobstructed areas. Williamson County makes no warranty, representation or guarantee as to the content, sequence, accuracy, timeliness or completeness of any of the database information or spatial locations depicted. Furthermore, all warranties on merchantability and fitness for a particular purpose are hereby disclaimed. In no event shall Williamson County be liable to the recipient or any other party for damages of any type, including but not limited to incidental, consequential or exemplary damages arising out of the use or inability to use these materials.